Adapted for both indoor and outdoor growing, Blueberry Marijuana strain is perfect for Sea-of-Green techniques, producing a good harvest of dense, Indica dominant blueberry buds in a combined growing/flowering time of approximately 55 days from seedling. 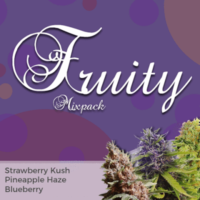 With very little experience, or knowledge, these ‘throw-and-grow’ seeds produce high quality yields with a fruity, blueberry flavour and aroma with a euphoric high that lasts. 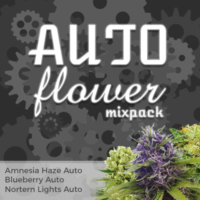 Blueberry autoflower seeds from I Love Growing Marijuana are available in packs of 5, 10 and 20 feminized seeds, all guaranteed by Robert Bergman himself. 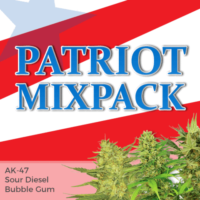 Blueberry Auto Seeds Special Offers! 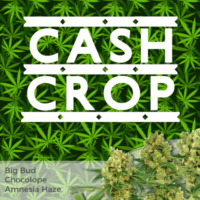 An easy to grow strain which remains short and compact with a close branching structure. 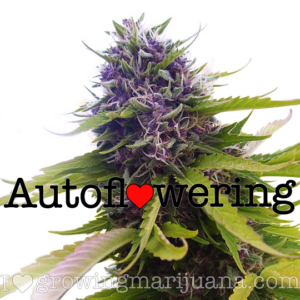 Flowering begins almost as soon as the seedling begins to grow, culminating in a large, very dense central cola and heavy side buds, which can, given ideal conditions, produce a blue-purple colouring as maturity approaches. The low leaf to bud ratio makes harvesting easy, while the dense structure amounts to a good harvest of high quality marijuana.